Watermark multiple photos in one go. Is there a better alternative to WhatAMark? 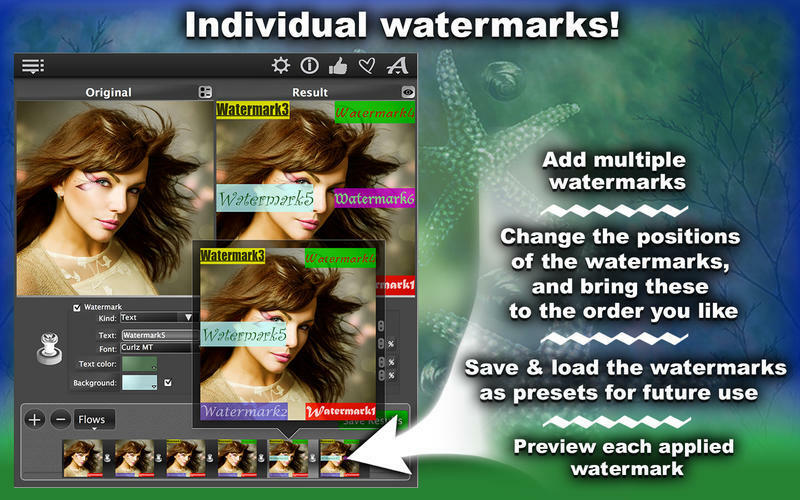 Is WhatAMark really the best app in Image Editing category? Will WhatAMark work good on macOS 10.13.4? Note: The downloadable demo is at 1.1. 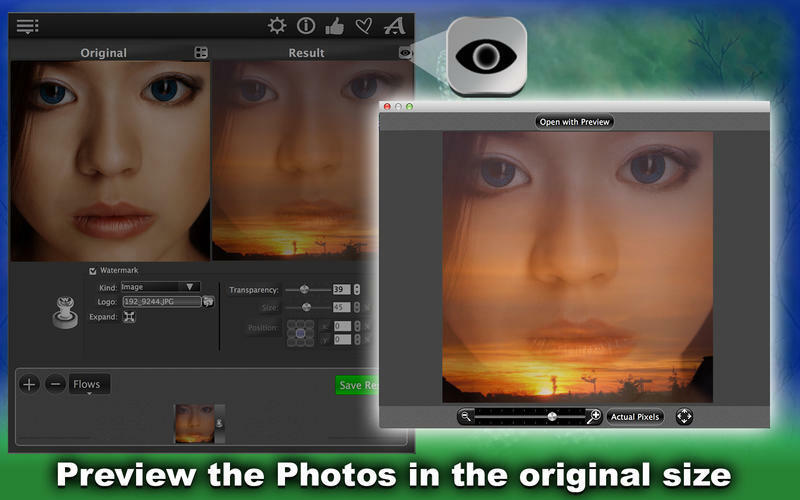 The version available for purchase on the Mac App Store is version 1.4. WhatAMark needs a review. Be the first to review this app and get the discussion started! WhatAMark needs a rating. Be the first to rate this app and get the discussion started! WhatAMark watermarks multiple photos in one go. You can add logo or text with customizable transparency level, background for text and rectangle, different fonts, sizes, colors, positions and use other parameters. 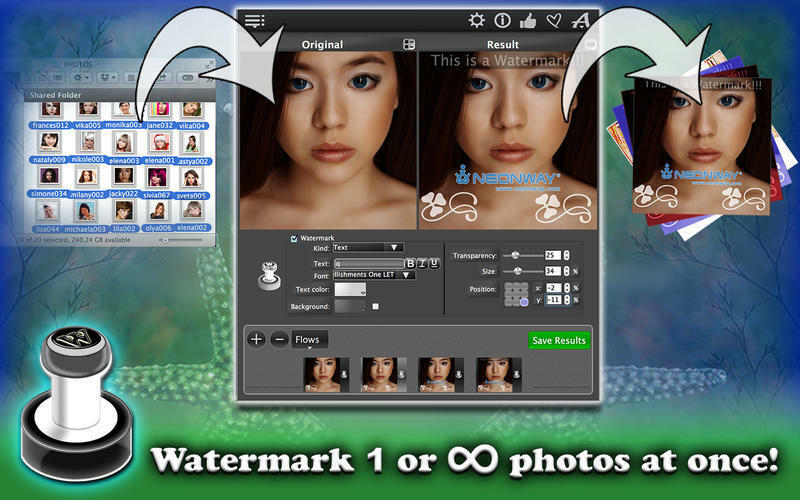 The app supports text watermark, image watermark, multiple watermarks and unlimited watermark combinations as well as overlaying unlimited images on one image. It can convert and rename image files to an separate output folder in batch mode. 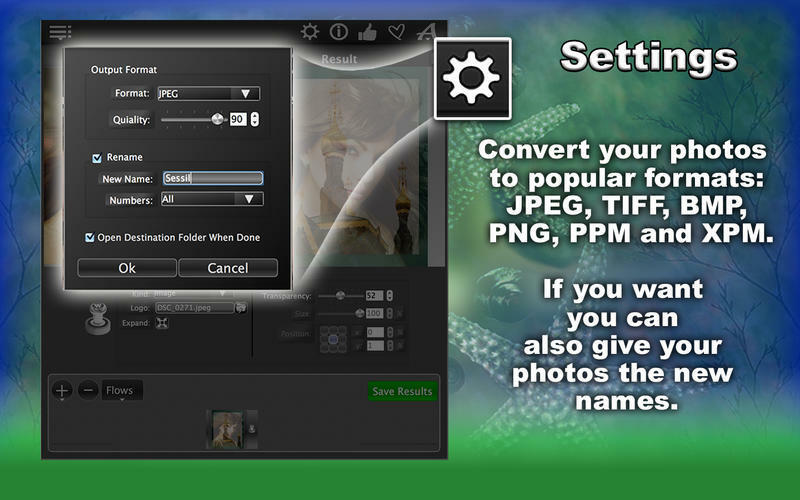 The following formats for conversion are supported: JPEG, PNG, TIFF, BMP, XPM, PPM. Including the full range quality compression of JPEG ranging from 1% to 100%. Do much more actions in minutes instead of hours or days if you do it manually!